BkMk Press of the University of Missouri-Kans, 9781886157668, 235pp. Literary Nonfiction. Literary Criticism. Women's Studies. "Poet, memoirist, fiction writer, and critic Cherry has assembled a lissome and winning retrospective collection of essays on writing, reading, and life," writes Donna Seaman in her starred Booklist review. "Piquant essays on family history and her coming-of-age are deepened by reflections on beauty, art, and vocation. In fresh and inquiring portraits of exceptional southern women writers--Eudora Welty, Elizabeth Hardwick, Mary Ward Brown, Bobbie Ann Mason--Cherry explores the nature of a literary life." 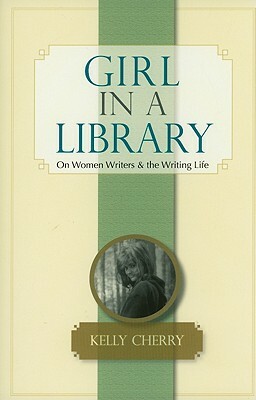 Library Journal writes, "Cherry explores the craft of writing, tracing her own development from rebellious college student to award-winning author of 19 books... Cherry's story will prove inspirational to aspiring writers as will her critical essays."